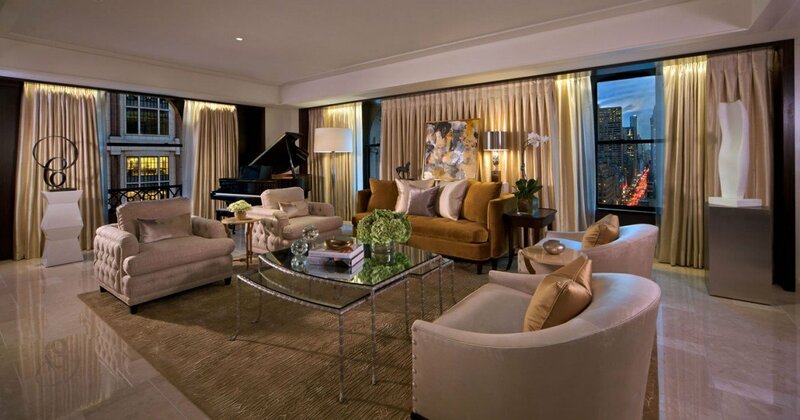 4 – Presidential Suite, Mandarin Oriental New York. 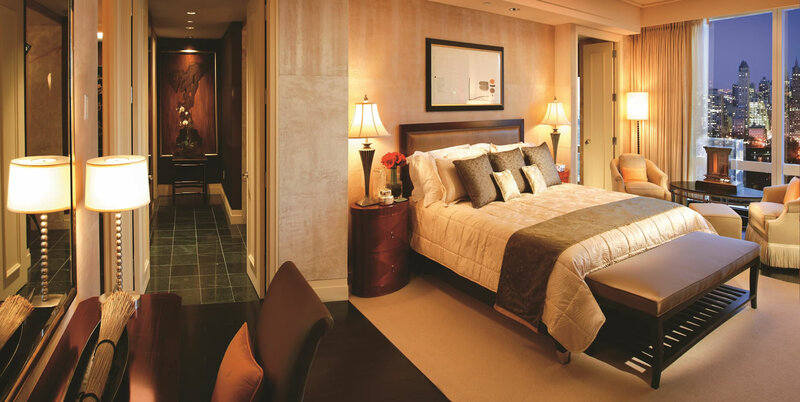 What you get – Measuring an impressive 2640 sq.ft with upholstered silk walls, a wood-paneled study and exquisite handcrafted rugs and artwork, this sprawling suite comes with a large living and dining area serviced by a gourmet kitchen and a master bedroom with adjoining bathroom. 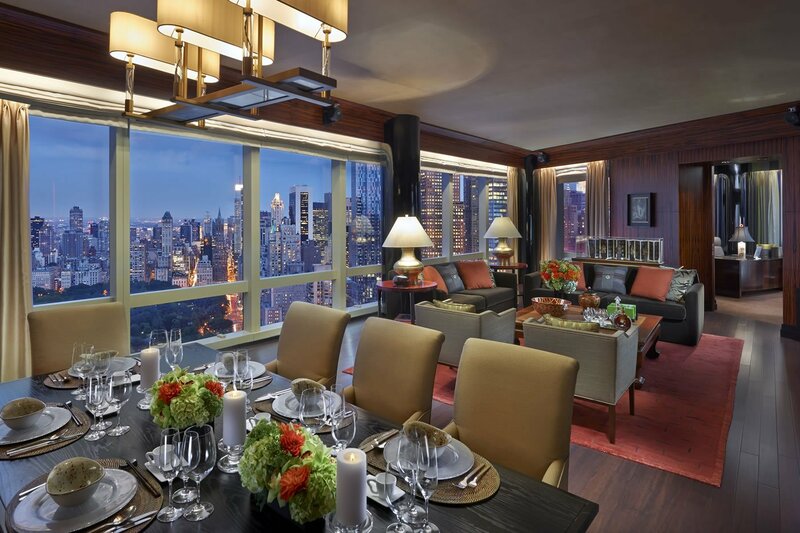 Located on the 53rd floor it offers breathtaking panoramic views of Central Park and the New York skyline. 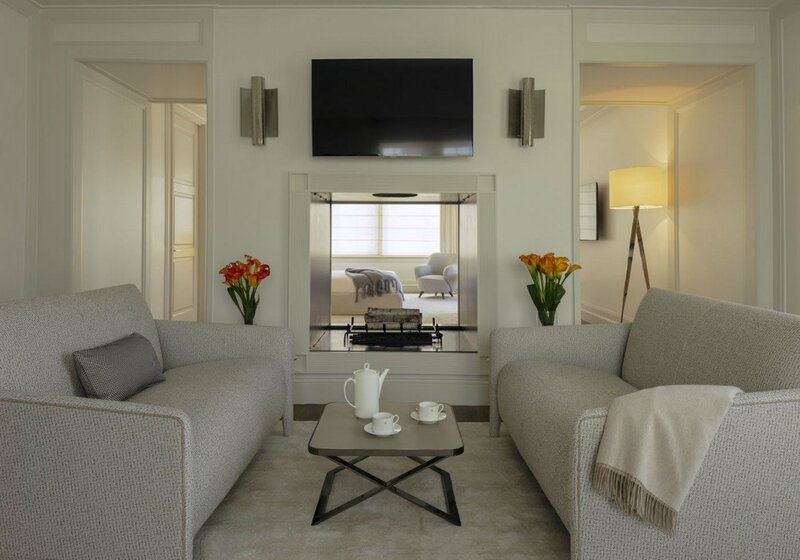 Why you should splurge – It’s the perfect urban retreat with an impeccable design and a spacious layout. 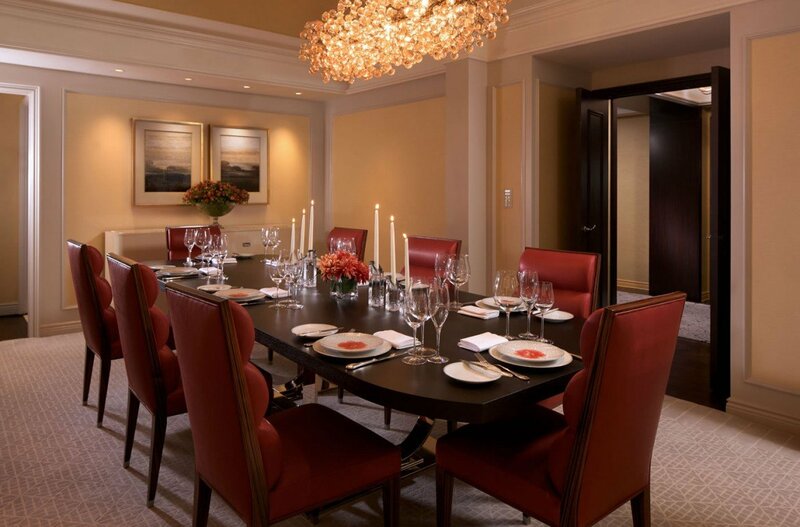 The suite contains stunning artefacts including a 250-year-old parchment calligraphy book with Chinese characters that tells a story of happiness and good fortune. The carved figures with the book are ornaments from the same period. What you get – An opulent 2800 sq.ft the Tata suite is tastefully furnished in neutral tones and pays homage to Indian heritage. 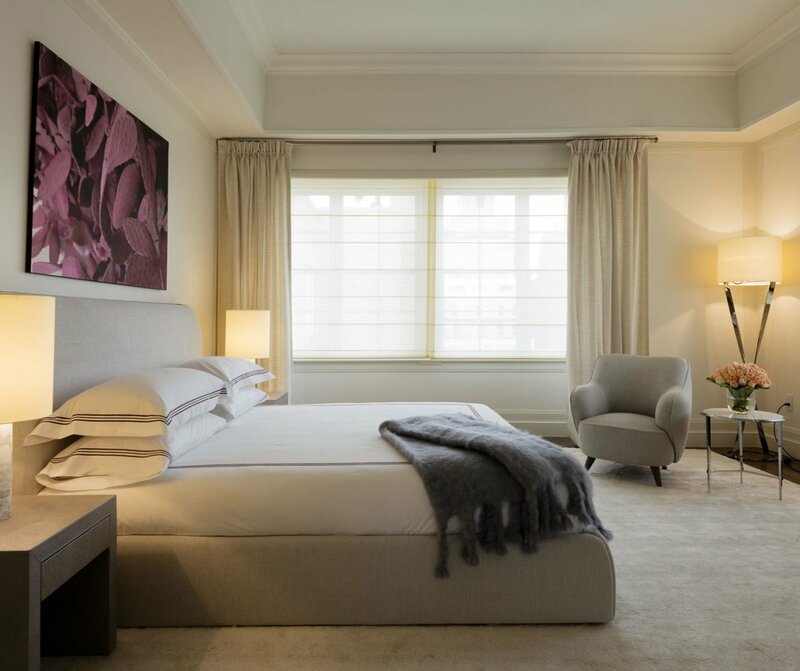 The suite features handcrafted artwork and custom designed furniture; a foyer with hand laid Turkish marble and vintage photographs of Tata’s original residences. It consists of a living room, dining space, two bedrooms, three bathrooms and a pantry kitchen. Why you should splurge – The suite is located on the 39th floor and offers spectacular views of Central Park. 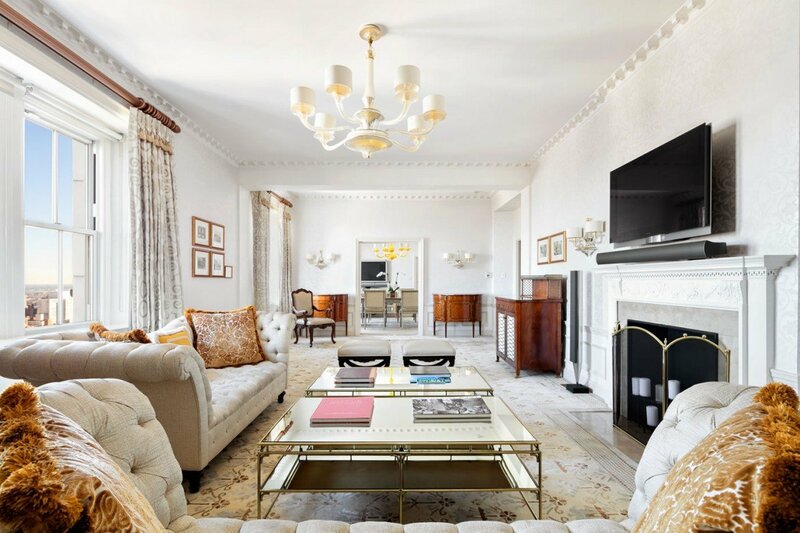 It is designed to make any guest fell royal – from the gold and silver tones, silk brocade fabrics, Turkish marble and hand-knotted carpets and is is modeled in the same splendor as the Tata’s Bombay home. 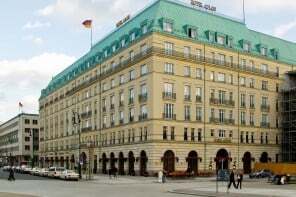 How much – $25,000 + taxes per night. 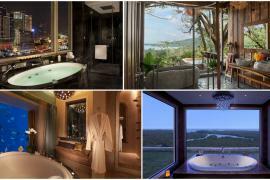 What you get – Sprawling over the 19th floor and occupying luxurious living space of 3,300 sq. ft., the suite has six rooms, including two bedrooms and bath, dining room with adjoining kitchen, living room and study. 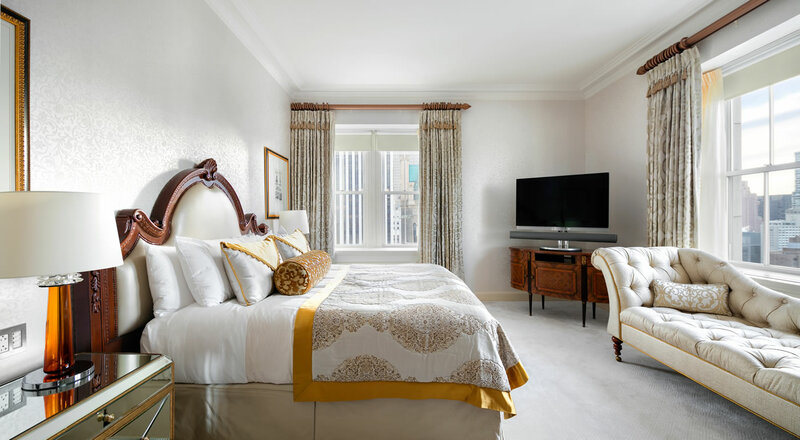 The suite is decorated in a classic, contemporary style with art nouveau accents and features state of the art Peninsula in-room technology. 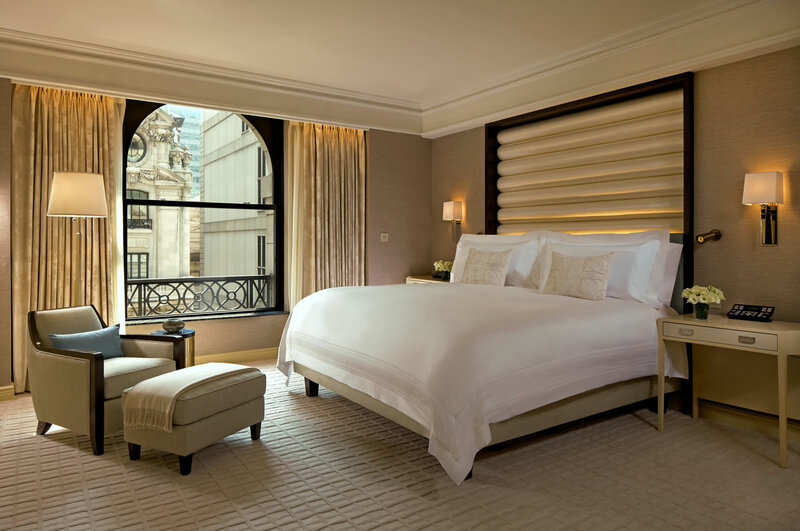 Why you should splurge – The suite is uber-luxe. The living room exudes both comfort and elegance with art deco-inspired details with modern underpinnings and a baby grand piano. 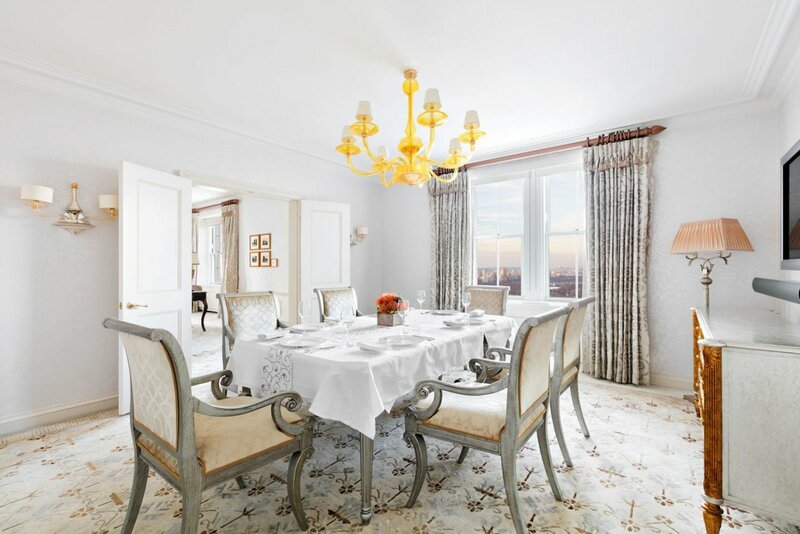 French marble flooring, Italian silk automated drapery, Murano glass chandeliers, and state of the art technology makes this one of New York’s premier accommodation. READ: Fig & Olive Downtown…gastronomes abode! 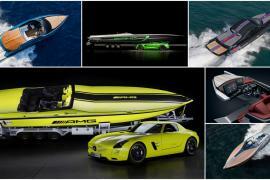 What you get? 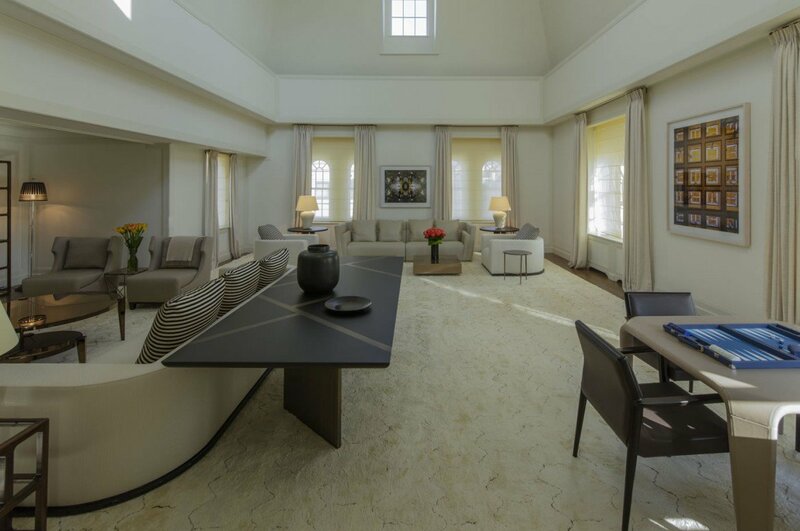 – Boasting 12,000 sq ft. and equivalent to a private residence, the suite is set over two floors and includes five bedrooms, four fireplaces and six bathrooms. 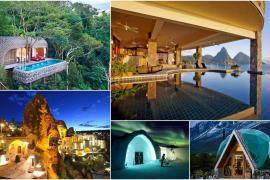 It also features a library lounge, a private conservatory and two wet lounges. 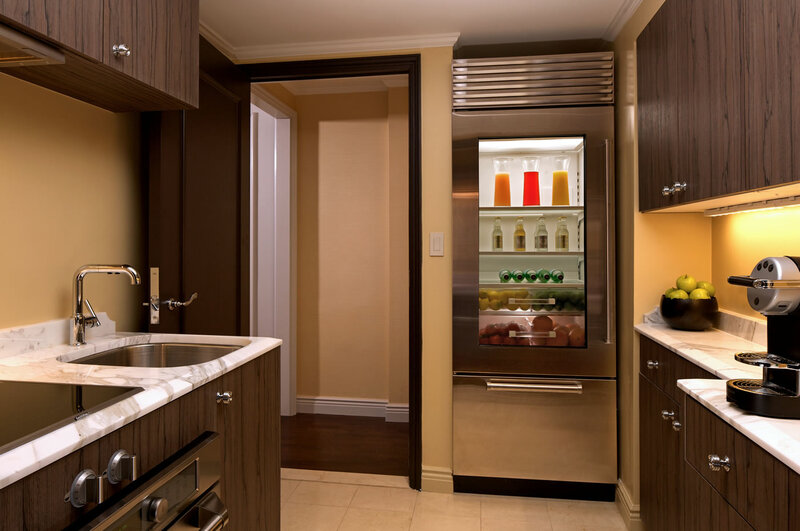 A private elevator takes you to the 2,500 square foot rooftop terrace with an outdoor dining area. 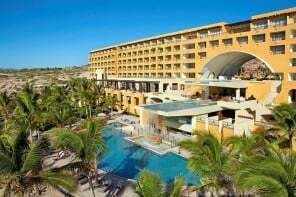 The hotel also offers offers a completely personalized array of amenities and personalized 24-hour service. 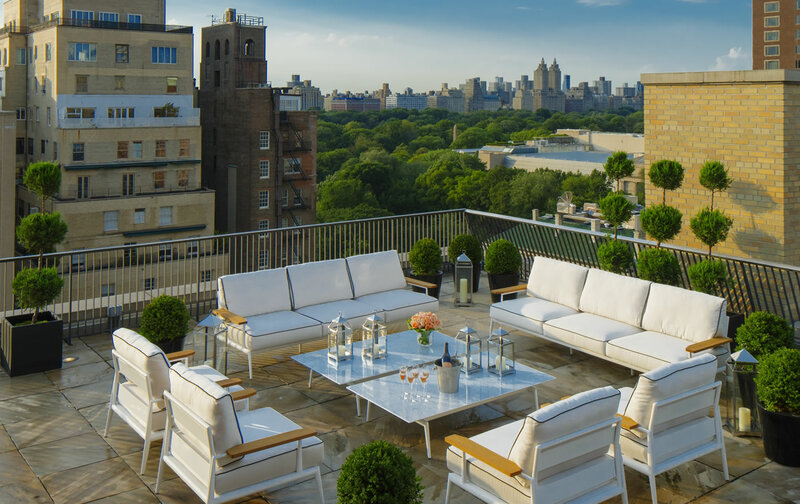 Why you should splurge – The Penthouse Suite is opulence personified and holds the honor of USA’s biggest and most extravagant penthouse suite. The living room alone can be transformed into a full-sized grand ballroom. 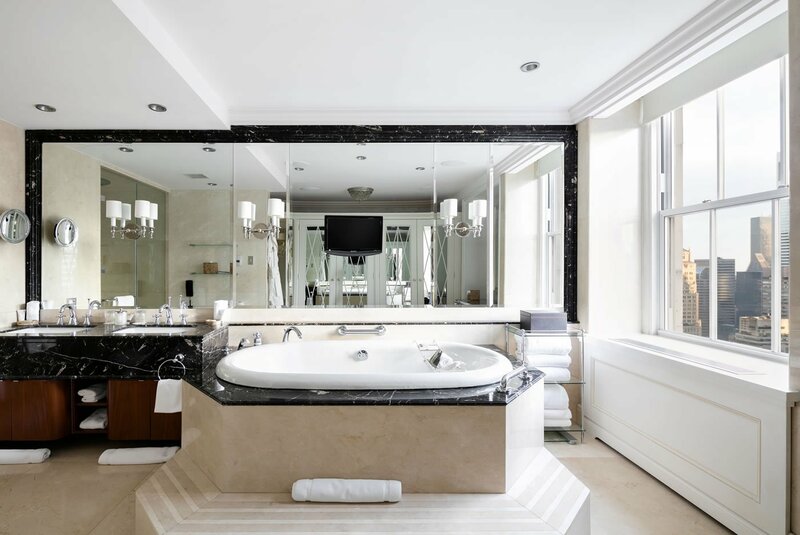 Booking a night in the penthouse also gets you in-suite hair styling by Frédéric Fekkai Salon, round-the-clock access to Bergdorf Goodman and a dedicated car service for the duration of your stay.